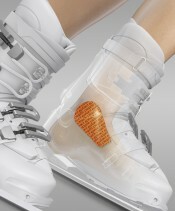 Skiing, snowboarding, mountain-climbing, and inline skating boots sometimes lead to significant friction and pressure on the tibia. This can even go as far as causing blisters. 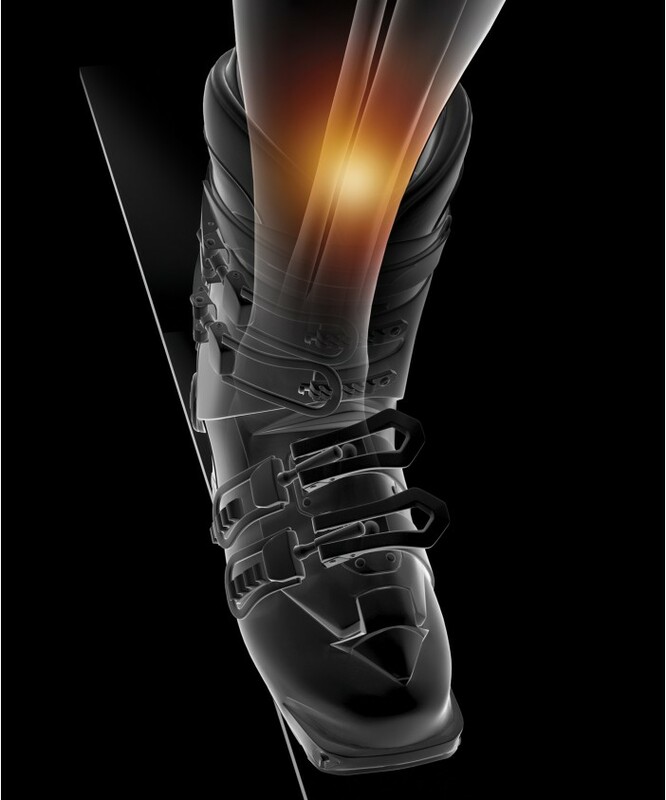 Shin protection helps prevent these annoyances and allows you to happily continue with sporting activities. - PREVENTIVE ACTION : EPITHELIUMTACT 03 Shin-Bang Protectors are made of 2 mm thick, self-adhesive silicone gel in which the viscoelastic properties are close to the skin. 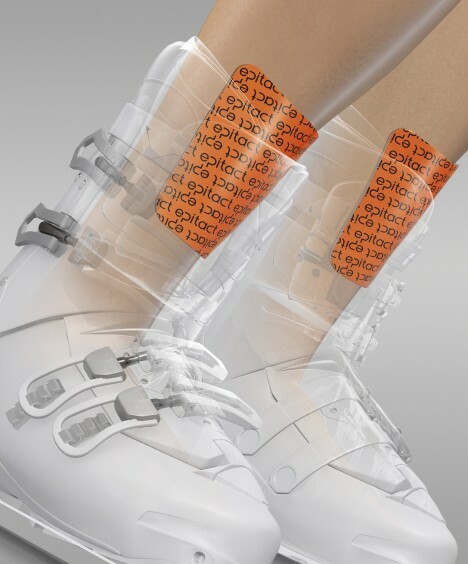 Applied on the shins, in direct contact with the skin, the protectors will distribute the pressure and absorb the friction by dissipation of energy in the gel and thus preventing any risk of overheating. 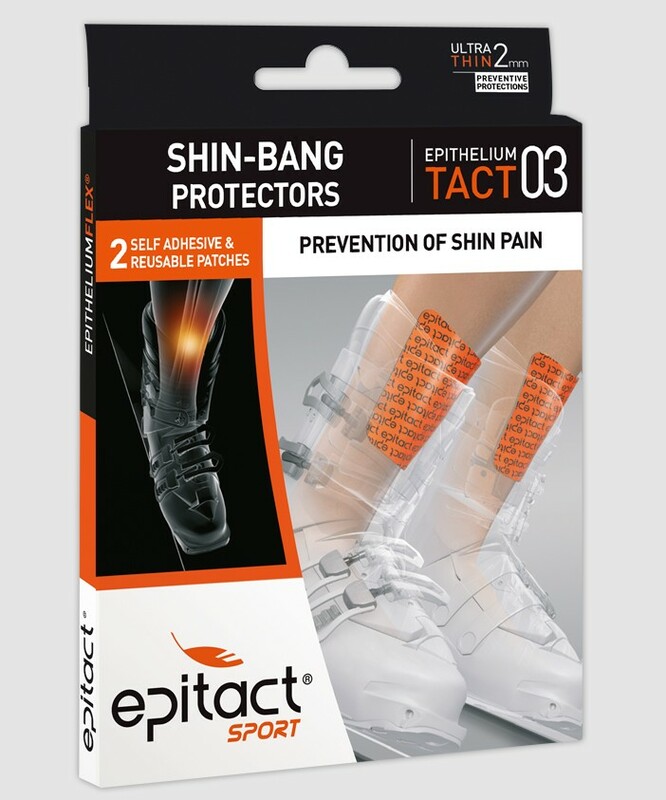 - ANTI-PAIN ACTION : EPITHELIUMTACT 03 Shin-Bang Protectors relieve pain, making it possible to participate in sports and remain competitive. Other Use: They are also very effective in relieving pressure and overheating on the shoulders when wearing a hiking backpack. 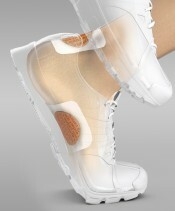 ERGONOMICS : Their specific shape was studied in order to completely cover the sensitive area of the shin. Contact with the skin is very pleasant and the guard detaches without pain, even on hairy areas. PRESENTATION : EPITACT® SPORT Shin-Bang Protectors are sold in pairs (7cm x 9.5cm). • Remove the clear protective film (do not try to detach the fabric). • Apply the protector directly to the skin, over the area to be protected. It can be removed and repositioned as required. • It is preferable to cover with a sock. • Place the protector on the storage carton provided and place in the foil sachet until next use. • The protectors can be washed with soap and water. Do not rub and leave to dry naturally. • The protectors can be washed at least thirty times without affecting their properties. 90 % silicone, 10 % polyamide/elastane fabric. •The product has undergone all the regulatory tests required by ISO standard 10993-1 relative to products that come into contact with the skin. Facile d'emploi. Efficace sur les microtraumas et l'échauffement. Top confort, bonne qualité, tient sa promesse.